Netflix had already promised to do its best to bring as much 4K content to the masses as possible and today it added one of the most popular shows of all time to the 4K stable. 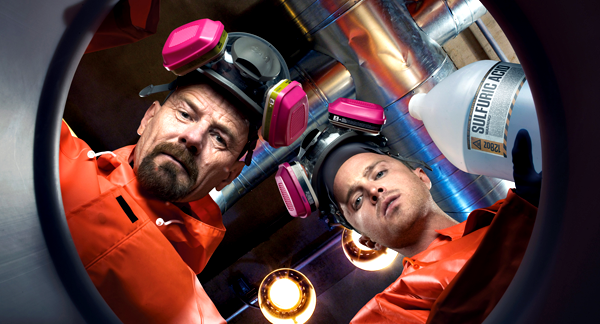 Taking to Twitter to make the announcement, Netflix’s Joris Evers informed the world that the awesome Breaking Bad is now available to stream in 4K. In fact, instead of it being part of a staggered rollout, Netflix has made the Ultra-HD version of Breaking Bad available to anyone with the service, so long as their broadband can handle the load and they have a 4K TV, of course. Before today, the only content available in 4K was Netflix’s own House of Cards, but with the streaming video company desperate to differentiate itself from a growing list of competitors, it is leaning on 4K as a way to do just that. Having double the number of pixels of 1080p HD, 4K is expected to be the next big thing, beyond perhaps even the 3D revolution that appears to be dying a death already. We’re still not 100% sold on 4K unless you’ve got a screen the size of a building, but that doesn’t mean this news isn’t exciting. The level of compression used may still mean the 4K content looks less optimal than it should, but for now it’s certainly as good as it gets, especially if you’re all about the streaming. Netflix made its intent known back at this year’s E3 and Breaking Bad isn’t a bad way to get the ball rolling. The only question now is what next? What would you like to see in 4K?